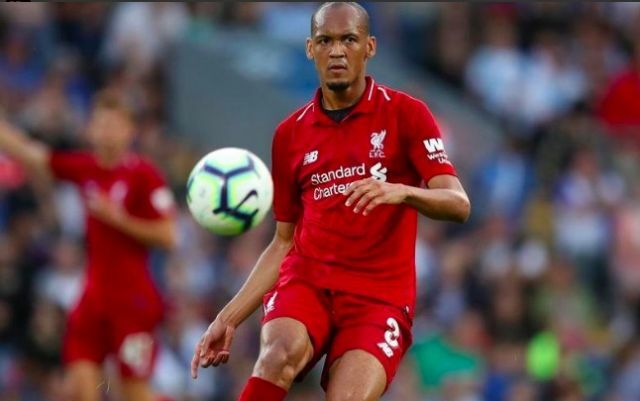 Fabinho has discussed Liverpool’s recent failings, with the side having drawn our past two matches. The gap between us and Manchester City is now three points, which is a brilliant position to be in… The issue is that it could and should have been seven if we’d have beaten Leicester City and West Ham. Fabinho has suffered with illness this month, but is still arguably our most impressive midfielder and the player who provides the best link between defence and attack. “We have confidence,” he told ESPN. “We enjoyed a brilliant December, which was almost perfect, but now we have had this dip. “It is difficult to explain why this has happened. I believe that now teams who play against us sit very deep. We need to do things a little differently and maybe we aren’t doing this – we are unable to find the spaces. He’s spot on, of course. West Ham and Leicester played extremely defensively and allowed us the ball – which limits our ability to counter-attack or get our attackers in behind. But multiple teams have played like that against us this term and we’ve been finding ways to win. It’s especially disappointing to have been up against defensive sides and still drop points after taking the lead in both games. The defence has been poor recently; likely because of the lack of a natural right-back. Thankfully, Trent Alexander-Arnold will be back for the Bournemouth tie.